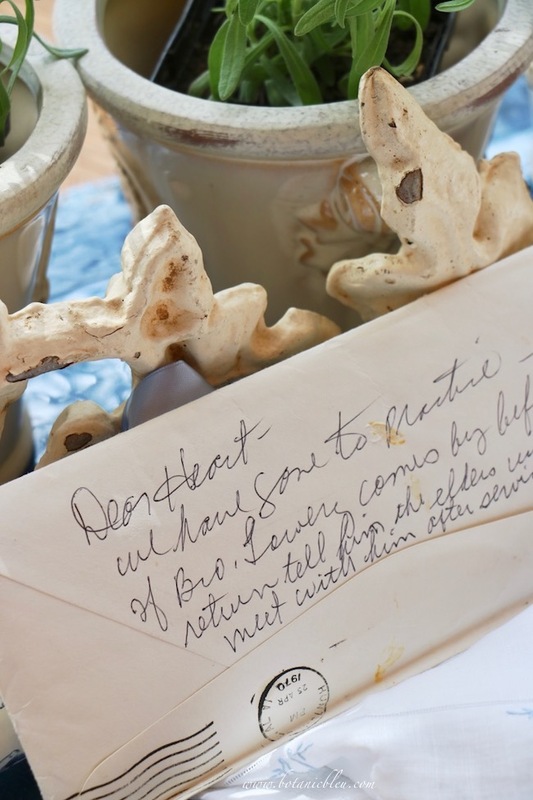 The Dear Heart story began in 1946 when my parents married, just after World War II. During their marriage they endured hardships including my father's 2.5-year battle with tuberculosis, contracted while overseas in the military. Whatever circumstances they faced, and there were other extreme hardships, they remained committed to one another, and my childhood memories are of a loving family. 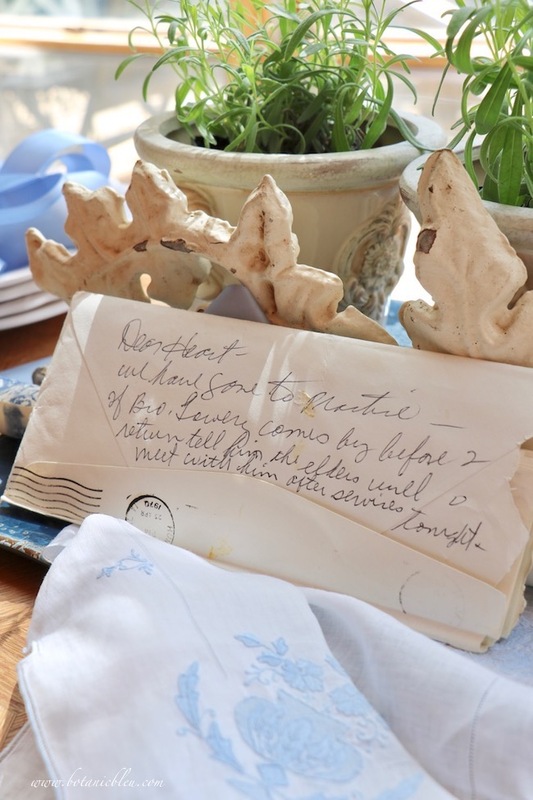 A handwritten Dear Heart note from the past sits on the breakfast table as part of a spring arrangement, and the note inspires me every time I catch glimpses of it. 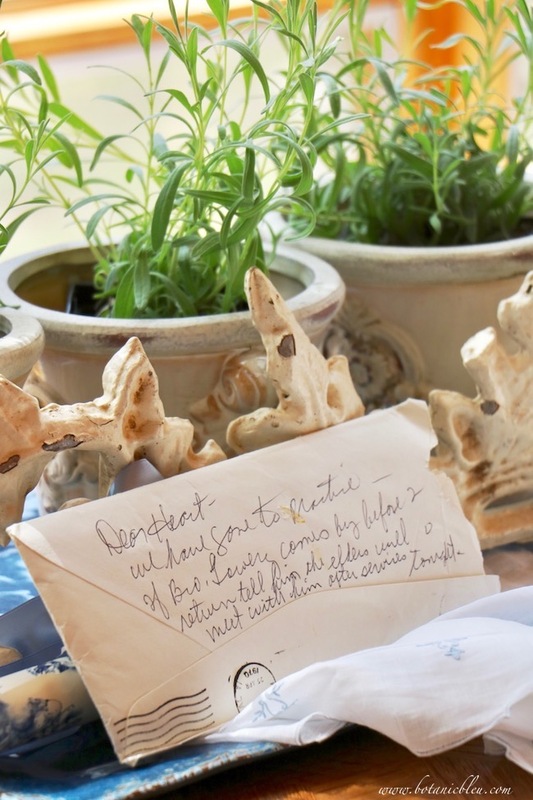 The note ignites flashes of memories of my daddy, my mother, and my brother. My memories are of my daddy always kissing my mother goodbye when he left the house... to go to work, to go to the store, ... whenever he left the house ..., and always telling her where he was going, and when he expected to return. During their 48-year marriage, Mother survived breast cancer. Daddy cared for her. The last 2 years of my daddy's life he was bedridden. Mother retired, and cared for him. He died in 1994. Mother died in 2015. I often think about the strength of their marriage, their personal resolve to withstand all trials, and their dedication to remain faithful to each other unto death. My heart has been saddened so many times in my life when dear friends, fellow Christians, and loved ones have not been able to remain faithful unto death. My parents' marriage is a reminder there have been marriages that lasted. I was the executor of Mother's modest estate, and took care of all of the paperwork, which included dispersing family photos and documents to my siblings and their children. We met together numerous times to go through family photos and documents to reminisce with each other and with our mother's surviving brothers. Photos and documents were shared with everyone who wanted them. Mother's estate was closed in 2016. To our surprise, my sister-in-law found two insurance policies for our daddy when she was going through my brother's home office last week. My brother died in February, and she was organizing his papers. 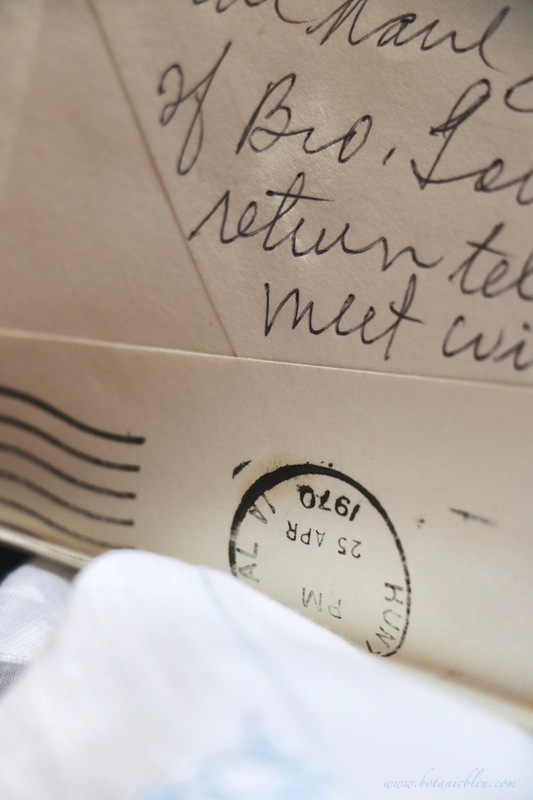 She mailed the two insurance policies to me since I was the executor of Mother's estate. She sent them by certified U.S. Mail. The policies inside were in an original envelope, postmarked 1970, Huntsville, Alabama. One was for $20,000, and the other was a graduated benefit based on my daddy's salary. Could there be a little more inheritance for us? From so many years ago? Overlooked by accident at Daddy's death? No. Neither policy is payable. The $20,000 policy was an Accidental Death policy, and the other policy was discontinued when my daddy retired. An unexpected reminder from our daddy of our daddy's love for our mother, our family, his fellow Christian, and a reminder of his life of service as an elder in our home church congregation. We have gone to practice --- If Bro. Lowery comes by before I return tell him the elders will meet with him after services tonight. We have gone to practice --- as always, letting her know where he was... In 1970, my brother who died in February, would have been 15, before he had a driver's license. In late April he would have been practicing baseball. Daddy coached his Little League YMCA summer team when my brother was younger. In 1970, my brother was a pitcher on his high school's baseball team. If Bro. Lowery comes by --- Brother (Bro.) was how Daddy addressed his fellow Christians, and Bro. Lowery must have been expected. Even though Daddy was committed to helping others, this note reminds me he put my brother, our family, before others. He went to my brother's practice instead of sitting waiting for someone to come to the house. Nonetheless, he left a message in case he missed Bro. Lowery. the elders will meet with him after services tonight --- Daddy served as a leader in our home church congregation. People came to our house to talk with him during their times of sickness, spiritual crisis, family problems, financial problems... Whatever Bro. Lowery needed, I am sure Daddy and the other elders helped him. 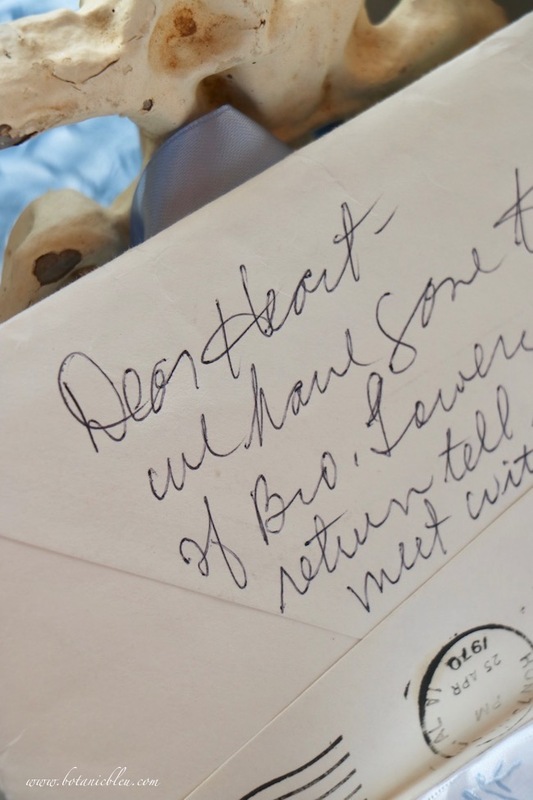 The Dear Heart note was quickly written on the back of a piece of mail lying on the kitchen counter. It was not a planned letter to Mother nor a planned lesson to us, but a note that shows how my daddy lived his life every day. A note that speaks volumes. His voice from the past reminds us to remain steadfast, to love, and to get our priorities right. What a lovely treasure and a testament to their love, thank you for sharing this with us. Judith, my sincere sympathy for the recent loss of your brother. How truly sad. This post stirred a lot of past memories for me. I, too, was the executor of my mother's estate. It was two of my sisters who helped go through all my mother's personal effects. The blessing in return has been the 11 year Panoply venture ever since. May your memories bless you in rich ways, far above and beyond what a policy promises. Oh Judith, this post is filled with such love and poignancy. My heart goes out to you for the loss of your brother. Such a bond of family. And this discovery -- such a gem. In doing family history I have unearthed many bits in old boxes of photos, scrapbooks, memorabilia and even tucked within old books. Each one is a treasure for as you said, it tells so many things. Those you found here are truly the things of which blessings are made. I send hugs across the wind and wishes for peace and healing. That is a treasure! How blessed you were to have grown up with that heritage! I was also blessed with parents who loved each other deeply and a father who was a man of strong faith - my mother too, but as a daughter it was my father's example that hit home to me and my 7 siblings. As I grew from childhood one of the saddest realities I learned was that many did not have this, and in recent times, it seems even less. I am so grateful for the family life I enjoyed as a child and try to pass on to my own children. Thank you for a lovely post, and I am sorry for the recent loss of your brother. Thank you for sharing such a personal note. Thank you for reminding us what really matters in this life and how truly blessed one is to have a strong Christian heritage. May God bless you and your family as you navigate life without your beloved family members. What a treasure! Your upbringing sounds similar to mine. My parents were married over 60 years before my mother passed away and 10 years later my dad at age 93! 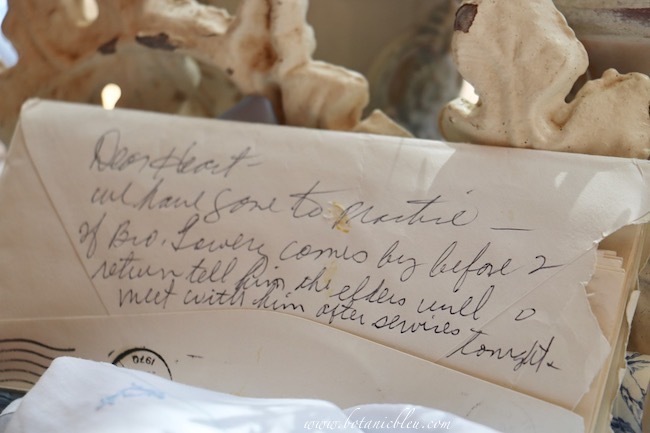 I have things written in both of their handwriting as well as a treasured recipe written by my husband's grandmother. She wrote out the recipe when we were first married at my request. Blessings to you! Thank you for sharing this very personal and very beautiful story of your father's love and steadfastness. I am sorry for your loss of your brother. So glad I found this post. Dearheart. That speaks volumes about your parents and their commitment to home, family, and God. Doesn’t exactly describe the path others are talking today. Imagine a world where everyone grew up in a similar family. Despite your many losses, you’ve been truly blessed. I just love this! Thanks for linking to Keep In Touch. It's such a sweet post. What a lovely post and lovely memories of your precious family. Your Dad sounds a lot like my husband of 47+ years and we are hoping to leave a legacy like that to our children. Your post was encouraging and eye opening to e as well. Thanks so much for sharing this wonderful incite.